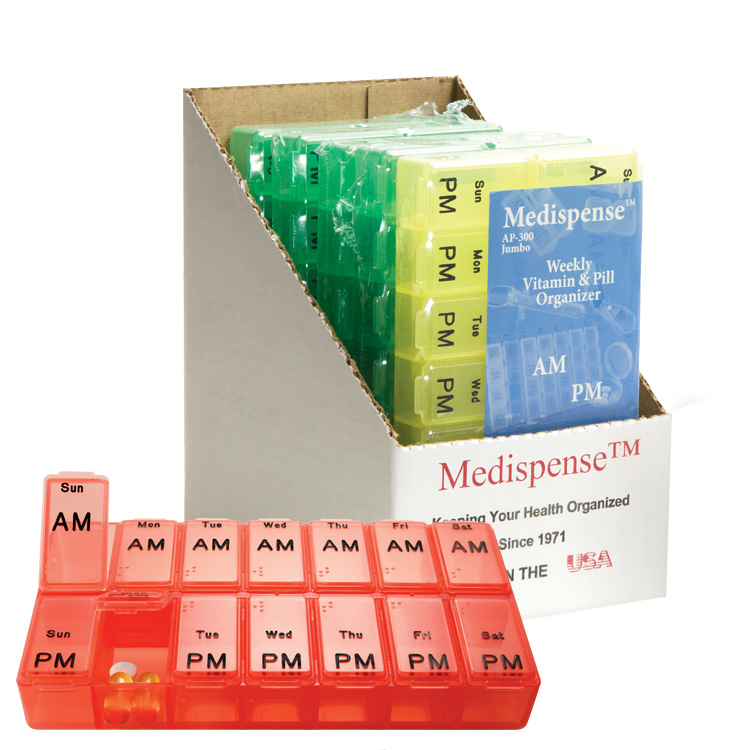 • This weekly pill box has 2 compartments, labeled A.M. and P.M. in large, raised, hot stamped letters for each day of the week. 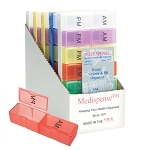 • Its extra large, (Jumbo) size compartments fit larger pills or vitamins with ease. 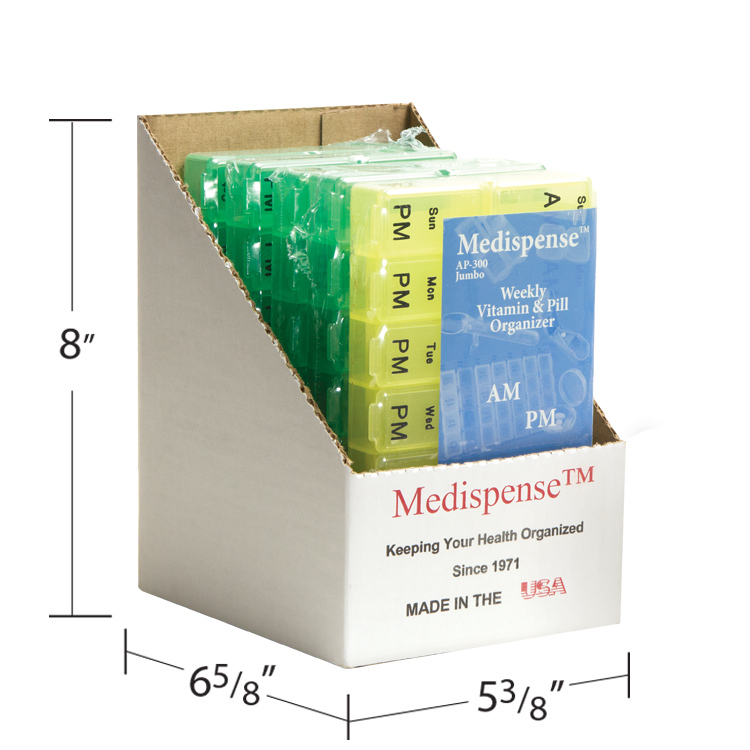 • Each compartment lid is printed with the day of the week and A.M. or P.M. in large print. • Easy Scoop is a Classic M.D.M. 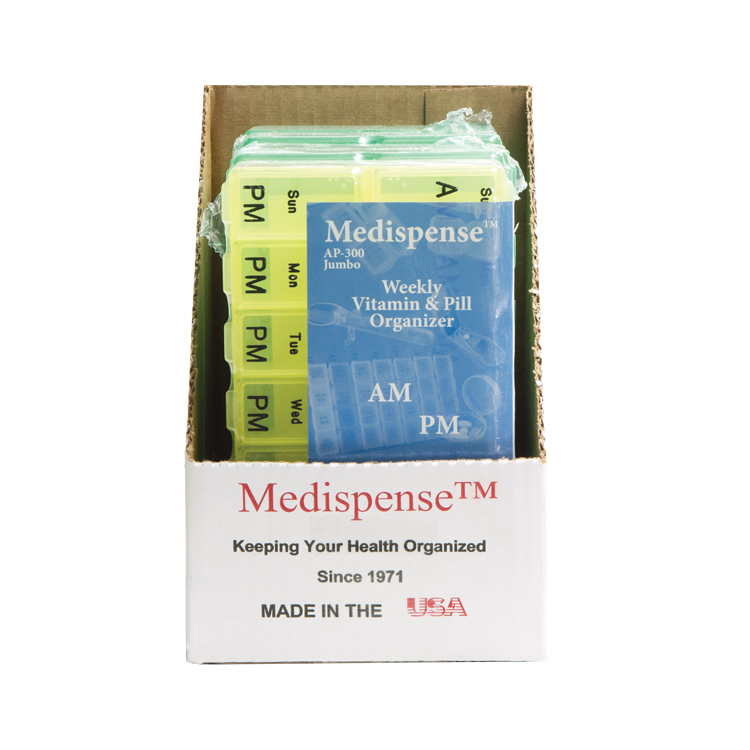 original product design (1980) developed to ease the removal of medicine from the organizer. 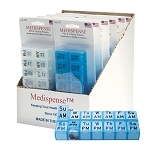 • This pill box is available in both English and bilingual French/English, Specify when ordering.